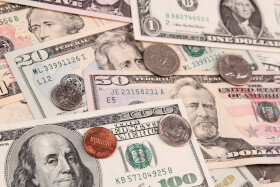 The US dollar gained momentum on Friday, extending its gains over the past week. The greenback edged higher on mixed economic reports were released and breaking news that China is offering a $1 trillion-a-year olive branch on imports that could end the trade war almost immediately. Consumer sentiment cratered to its lowest level since President Donald Trump was elected. The University of Michigan index plunged from 98.3 in December to 90.7 in January. The median estimates had pegged a reading of 97.5. The loss was due to a host of issues including the partial government shutdown, the impact of tariffs, instabilities in financial markets, the global slowdown, and the lack of clarity about monetary policies. In other data, US manufacturing production in December spiked by the most in 10 months, buoyed by output in motor vehicles and other consumer goods. According to the Federal Reserve, manufacturing output rose 1.1% last month, beating market forecasts of 0.3%. Factory production has now increased a 2.3% annualized rate in the fourth quarter. Earlier this week, the producer price index (PPI) dropped 0.2%, bringing the 12-month wholesale inflation rate to 2.5%. Investors are salivating over breaking news reports from Bloomberg that China has offered to ramp up imports from the US. According to the business news network, Beijing has proposed to purchase American products totaling $1 trillion per year for the next six years. Should Beijing institute this policy, the world’s second-largest economy would eliminate its trade imbalance by 2024. In 2018, China had a trade surplus with the US of $323 billion. Both reports have sent global equities markets surging. The USD/CAD currency pair tumbled 0.23% to 1.3245, from an opening of 1.3280, at 15:12 GMT on Friday. The EUR/USD slipped 0.25% to 1.1364, from an opening of 1.1390.